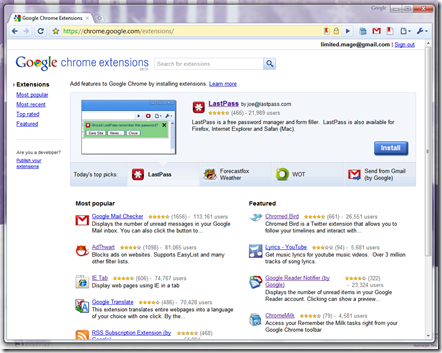 Building Chrome extensions is super-easy. I’ve already made two: ChromeMilk and Postponer. I wanted so share my method of building extensions, so I’m going to write a series of posts. This one will cover the basics on how to set up a good development environment and how to begin writing the extensions. The Chrome dev channel has the latest technologies and the best developing tools. Install it and use it to debug extensions. If you’re really Spartan you can use regular Notepad. I use Notepad2 because it’s light but has syntax highlighting and other features. There are many available, so take your pick. Google has a very good tutorial for writing your first extension. This tutorial shows you how to build a simple extension and test in on your browser. After this, you should be ready to build your own extension! Now that you know how to build a basic Chrome extension, it’s time to let your imagination run wild! Read the extension documentation and see what you can build with it. Start small and don’t be afraid to be wrong. 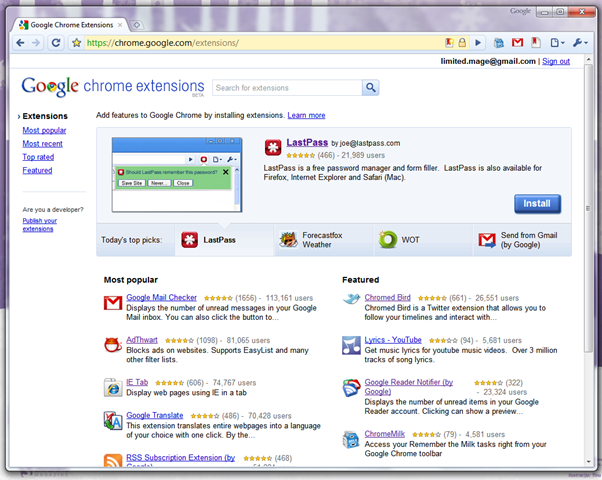 When your extension is ready, you can submit it to the Chrome Extensions Gallery so that everyone can use it! I’ll be writing more posts on this, so stay tuned. Do you have any tips for building Chrome extensions? Have your made an extension after following these steps? What other resources do you use to make extensions? Leave a comment and tell us all about it!